The Alicante will play his last tournament as a professional in Madrid and the organization wanted to give him a book with messages that are received on the networks. 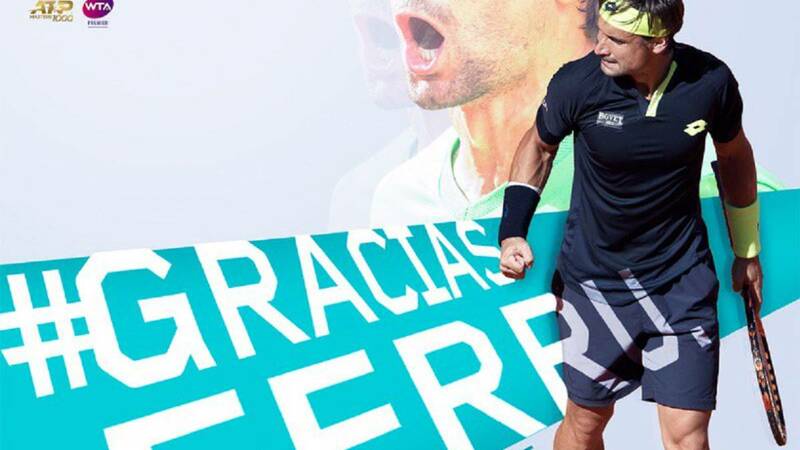 The Mutua Madrid Open launches a campaign with the hashtag #GraciasFerru to dismiss David Ferrer, that will end his sports career next May in Madrid. With messages posted on Twitter, Instagram and Facebook that include this hashtag, a book that will be delivered to the tennis Jávea in the Magic Box after his last game. David Ferrer is the first guest by the organization this year and has played 15 editions of the Master1000. Of which the editions of 2010 and 2010 2014, in which the Spanish tennis player reached the semifinals and fell to Federer and Nishikori respectively. With the initiative #GraciasFerru, the Mutua Madrid Open wants to "dismiss as it deserves" one of the most emblematic players in world tennis, who arrived to be the third best tennis player in the world in 2013, in the tournament that will be held between May 3 and 12 or in the capital.